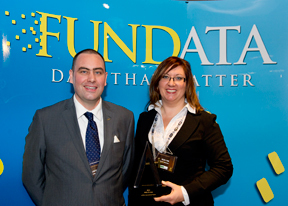 Fundata, the main source of information on investment funds in Canada, recently awarded its 2012 FundGrade A+ prizes. The FundGrade A+ Rating identifies funds with not only the best risk-adjusted returns but also those demonstrating the highest level of consistency. The FundGrade A+ Rating is awarded annually to funds that achieve consistently high FundGrade scores through an entire calendar year. The FundGrade A+ Rating is a totally objective, transparent, score-based calculation using a grade-point average that ranks funds to determine the annual “best-of-the-best” ratings. At the awards ceremony, ASTRA Carnegie International Equity Fund won FundGrade A+, which ranks it among the best funds of the same type for its excellent performance in 2012. The fund can be added to any investment portfolio in order to diversify asset allocation and provide investors with access to this highly efficient manager. It is also included in our portfolio funds, the ASTRA Strategy Funds and ASTRA Celestia Funds. Carnegie's portfolio management approach consists of security selection based in particular on the identification of global themes and trends. Known for its rigor, Carnegie adheres to the discipline of simultaneous buying and selling ("one-in, one-out"), which allows it to obtain a concentrated portfolio containing its top 25 to 30 ideas worldwide. We would like to heartily congratulate Carnegie for this achievement. We are proud to have chosen this exceptional manager for our family of funds. Sales representatives Graeme Allan and Lynn Giles accepting the prize awarded to ASTRA Carnegie International Equity Fund on behalf of SSQ Financial Group.